We invite you to become a part of a revolutionary concept in learning. After 28 years of research Dr. Corinne Allen has developed an advanced, high tech, effective, and powerful learning program. This advanced learning concept is not like other programs for improving learning, academics, behaviors, social and emotional issues. This program does not involve rote memory or repeated therapies to achieve its outstanding results. This program works. Our participants get results. Dr. Allen has developed a brain program that enhances the learning functioning of the brain. It covers the entire spectrum of brain development from the severely impaired to the gifted brain. 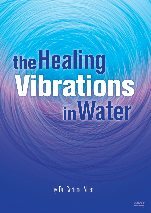 This revolutionary concept in learning encompasses a total sensory integrative program including colored lights, movement, patterning, auditory stimulation, olfactory stimulation, emotional release techniques, electromagnetic and magnetic balancing and prayer. 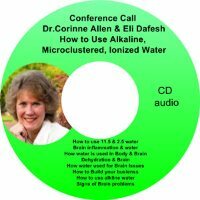 After 28 years of working, studying, and implementing brain, neurological and learning support through supplements, homeopathy, detoxification, diet, allergy elimination, functional neurological training and energetic rebalancing of the whole body Dr. Allen has put a combination of functional methods together for superior results. This training program is a unique, revolutionary concept. It addresses re-education of the auditory, visual, tactile, olfactory, emotional, motor, and speech pathways in the brain. The retraining process centers on individual issues and training protocols where areas of the brain are not communicating and need stimulation for these neuro connections to grow or be unblocked. This is program gets to the root of the issues. This program addresses all types of brain learning issues no matter what the cause (birth trauma, head injury, inherited weakness, nutritional deficiencies, unknown causes) The program also addresses stimulation for those who are “normal,” or “high functioning,” or gifted to function even better in many areas. We do not diagnose or give clients a label. Dr. Allen has found that even those with labels like autistic or learning disabled vary vastly in their behaviors and abilities. A label is just that, “a label.” It gets you nowhere. This program addresses what precipitated that label, the underlying causes, and blockages in the brain’s ability to function and learn. This program helps the brain relearn new pathways of seeing, feeling, moving, emoting and behaving. Why spend thousands of dollars on a dead end diagnosis and no solutions? Why spend years in therapies with slow or little progress? The program begins with 12-days of intensive training in our Institute and 30 day home program. The participant has a 30 minute session in the morning and afternoon. There is about 15-30 minutes of preparatory work done before each session as well. Each 30 minute training session includes, light, color, sound, motion, touch and prayer as explained in the following material. Those who need to follow up with more help are given a home program for minimal cost and rechecked once a month. Long distance home programs are also available. Please read through the following information to find out about this exciting, advanced program that really gets results. Advanced Multi Sensory approach to nourish & stimulate brain development. Our approach effects learning & behavior through light, sound, motion, olfactory, touch, prayer, electromagnetic and magnetic fields,and nutrition. Our advanced Brain Stimulation approach, with its cutting edge technology and advanced learning with light, sound, color, motion, nutrition and detoxification, essential oils, and yer is a 12 day intensive and 30 day in-home brain learning technology that allows the brain to function better. This multidimensional program stimulates and retrains neurological pathways that will assist in one's functioning at a higher level. This program goes to the root causes. Advanced multi sensory approach develops the brain and directs brain cells in learning for: attention problems, auditory processing, concentration, difficult decision making disorganized, easily frustrated , gifted programs, math, reading, spelling, behavior difficulties, rigidity, sensory defensiveness, sleep difficulties, slow learner, socially challenged, speech delay, and much more. Advanced sensory techniques using light and color stimulation which have proven to be successful in cases of hyperactivity, learning and academic deficits and immune functions. Motion stimulation of the vestibular system whose major function is to resolve sensory conflict and enable motor control, and full ability to participate in one's environment. Motion tends to have a calming and positive effect on the client. Modulated, specially chosen music of the Berard Auditory Integration is used. It allows reimprinting and training of the muscles which allows for even hearing, and better auditory processing affecting spelling, reading, concentrating, attention, and/ or behavior. Nutrition is an essential part of sensory learning. High quality, pure and targeted nutrients are included along with essential oils which have been documented to stimulate learning and brain functions, release and balance stored emotions and calm. Also electromagnetic and magnetic fields and prayer are modalities used. What does ALDI's Brain Center offer that is different? We test the blood brain barrier to assess how� damaged it is through energetic testing methods. Do you or does someone you love struggle with any of these issues? If so, See request/comments form below. Tell us what you are struggling with and we will tell you how our program can help. If you have questions or would like more information, please COMPLETELY fill out the contact form below. Please list in comments what information you would like, or questions you have for us. Know that your comments are appreciated and go directly to us. Please remember to sign up for our on-going newsletters sent directly to your email. Check this box to signup for our site mailing list and newsletter. Here's a picture of Brandon and Terry, Terry is from Pennsylvania who had his son at the same Brain camp Brandon was at, his autistic son made some great headway also, this picture shows Brandon's eye contact with someone at the end of the 2 weeks, Brandon would never have had eye contact before for more than 1/2 of a second to anyone, including us his parents. Grandmother of autistic boy:The addition of the spiritual part of the program my daughter-in-law was able to receive healing of her guilt that she could not always be super Mom. That is was Okay to take personal time, so she could recharge, start over and go on, instead of shutting down and abandon ship all together. It helped heal both she and Johnny. On the staff, Grandma of Autistic boy: The staff was Primo!!! We were treated with Love and sincere caring. Each and everyone were so wonderful and genuine. We loved the addition of the prayer session. This is a time of cleansing your body, mind and spirit. The days are healing and hard work. They are educational, enlightening and a time to focus on the task at hand without distractions of daily life. I recommend the program because it works!! Because in short 12 days you can see and feel and experience progress. Progress that will continue throught the year if you take the tools and keep up the work. This program gives hope and answers and a pathway to wellness. It educates you to continue to seek the ways that will heal your child and or self. The lectures on supplements, diet, autism, etc., were informative and NEEDED. People need to have a good understanding of the whys and hows! Sometimes the amounts are overwhelming and to understand, makes it easier to administer them as requested. People will understand… why. Liked the information on the “whys” of the diet. Father of Yvette S: The program was worth every penny. We have friends that are prime candidates for this program. And can see from the experience of others during our camp that our friends with similar problems would find help. We needed good results to get motivation to restart and continue with Yvette's recovery. And God provided it! I especially appreciated the focus on the True Source of Yvette's healing. Special prayer times were sources of strength. A highlight of this brain camps was the sessions with a dedicated prayer therapist who assisted us as a family to keep our focus on First Things (our relationship with our Creator). After all, any healing that would happen here, would be from Him as source as he used this place, this staff, and these therapists as His instruments. I would highly recommend this program to everyone, especially if they are on an airline crew or travel a lot. I would have them check for TCP's and other neurotoxins. This program saved my life and headed me toward a long and healthy life. Because of the toxic world we live in, I think everyone should go through the program. I have never seen or heard of any program as complete as this one. This program is also awesome for all the children with problems. I saw miracles in the children that were in the program with me. I cannot say on paper enough about the program. Thanks! I didn’t know what to expect. Form the literature I read before hand I was expecting a 30 min program in the morning and another in the afternoon. I thought that was it and Matt would be very bored. But past participants told me he wouldn’t have to be to be bored. I couldn’t understand until I got there. But after being there and experiencing it I’ll tell people it’s a full day neurodevelopmental program incorporating visual, audio, and vestibular therapy. We get up do breakfast about 7:30, then supplements, apply essential oils, do patterns get ready for the light session. Then we do a 30 minute light session. Then we have a neuro massage with essential oils. Then we do reflexes with the reflex therapist. Then trampoline, balance board, balance beam, eye exercises, walking exercises, creeping and crawling. Then lunch. After lunch we repeat the patterns, and oils and the light therapies. If you need it you get extra therapies like hyperbaric or ear candles. If you need time to rest you can take a nap after lunch. Chloe had much of her left side of her brain removed for up to 50 seizures a day or more. She had no bowel movements for up to a week. Twin, Sounds but no words. In the brain camp the Corpus callosum began to connect so that there began to be duplicity in functioning in the brain even though only part of the left brain was intact. Her communications improved. She was pointing to things the wanted at dinner. Looked one in the face when addressed. Able to lie still in neuro massage. Able to stand up supporting self longer. Able to to HI five sitting next to young man. Able to do with hand up and palm open not fists . Did poop in potty for first time. Began actively using the right side which she had never done. Began to be able to jump on trampoline alone with the bar brace. Began to have many more reflexes working on the right side. When she crawled she was able to do forward rotation with right hand. Her feet began to feel like there was something in them rather than a hollow inside with nothing there. DISCLAIMER: All material provided in the Advanced Learning & Development Institute website is for educational purposes only. We do not diagnose or prescribe but educate and create specialized learning modalities which stimulate learning in the brain. Each client is treated as an individual and given individual programs. 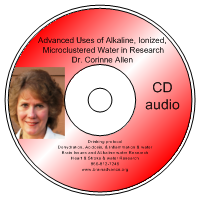 CLICK HERE to access Dr. Corinne Allen's recent 1-hour Internet Radio interview with VoiceAmerica Health and Wellness Channel on the powerful role GLUTATHIONE plays in restoring your body's health!